Training is an essential ingredient for those involved in every area of the servicing and repair sector. In an ever-changing market, our products are constantly being improved and developed and keeping abreast of such Changes is vital to their ongoing safety and performance. 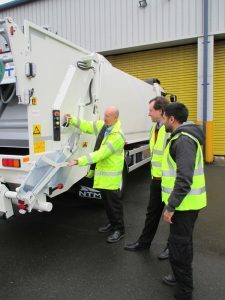 Our extensive training programme covers aspects of both maintenance and operation of NTM vehicles. Call 01902 365880 (Option 3) or email service@ntm-gb.com to arrange a training course for your vehicle.